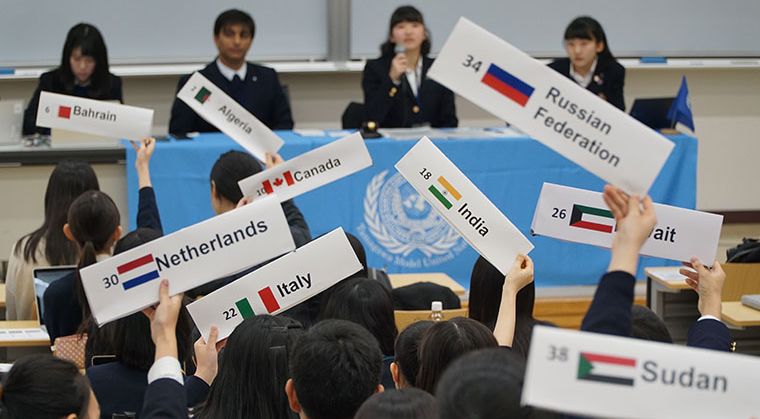 Model United Nations and Section MUN both simulate how solutions are resolved in a UN conference, and students apply a holistic study approach to the following five main themes: poverty, human rights, environment, diplomacy and international cooperation. 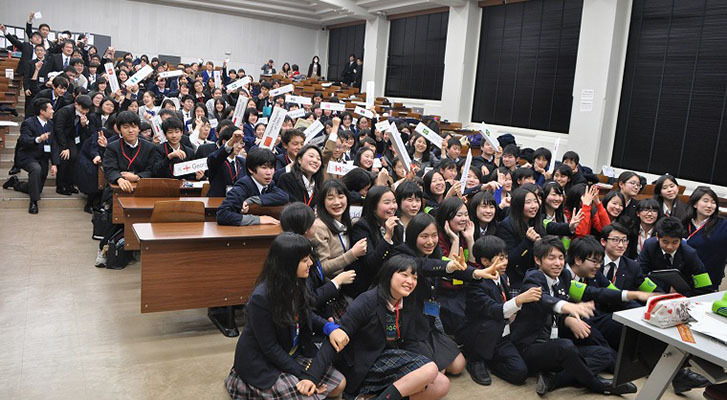 This is a regular class that is offered as a general course and as an IB course. 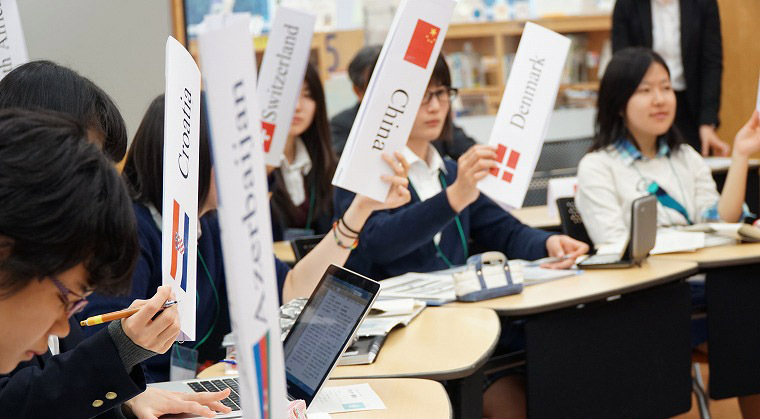 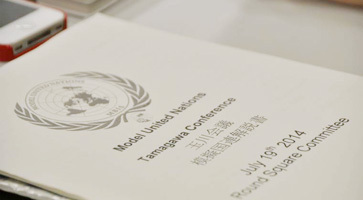 The students use only English in Model United Nations activities, develop global points of view, and obtain communication skills, subject expertise, and leadership. 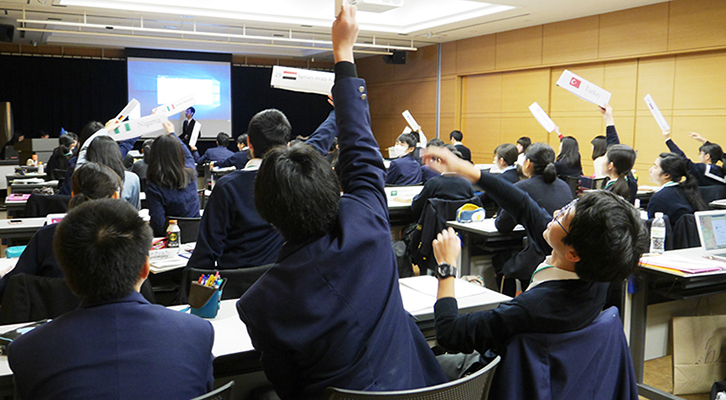 Starting in 2014, the following topics were covered. 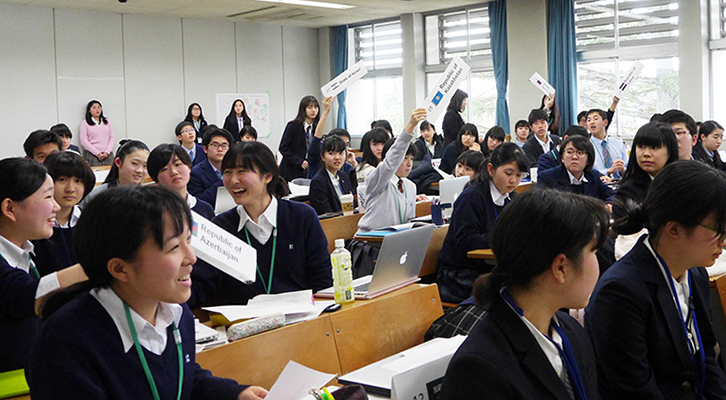 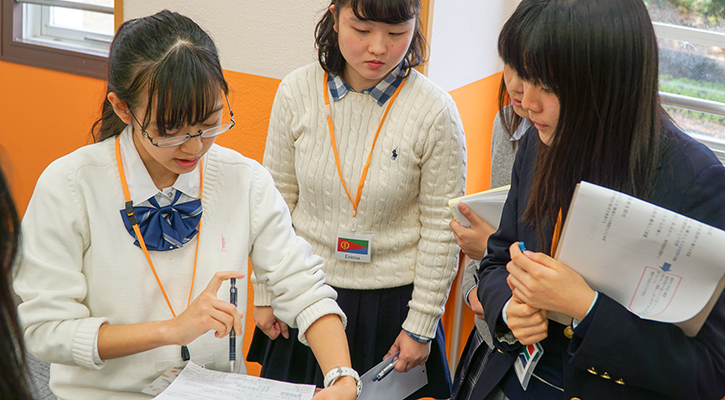 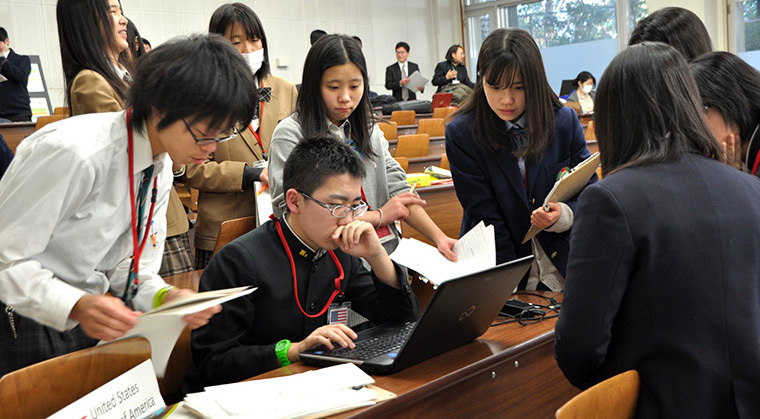 After extensive discussions of these topics, the students present their summarized opinions and proposals about Japanese diplomacy and international organizations.